Monks at Mount St Bernard Abbey have can build their very own brewery. Shhh! 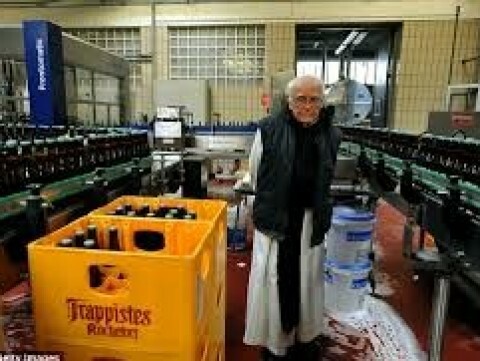 Trappists are set to make British beer after the silent monks are granted permission to convert a 19th-century Cistercian monastery into a brewery. Monks at Mount St Bernard Abbey have can build their very own brewery, authorities at Leicestershire District Council granted the monks permission. 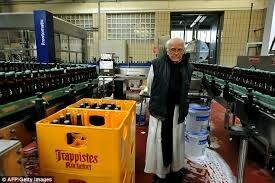 The monks will develop their own Trappist beer - the only one in the UK. all of the profits from the scheme will go towards the abbey's continued running costs. The Monks have been given planning permission to build what would be the UK's only Trappist brewery at a rural monastery in North West Leicestershire. If accredited by the International Trappist Association, the brewery at Mount St Bernard Abbey, near Whitwick, will become one of 12 in the world to produce authentic Trappist beer. A full planning and listed building application to convert a redundant part of the 19th-century Cistercian monastery building have been approved by North West Leicestershire District Council. A spokesman said: 'The development will enable the monastery to produce Trappist beer, the only product of its type within the UK, whilst continuing centuries of monastic brewing tradition. 'It will replace an uneconomical, in-hand dairy farm which has ceased operation. 'Once up and running, monks and other residents of the abbey will operate the brewery, with any profits made from the venture going to the Trustees of Mount St Bernard, a registered charity responsible for maintaining the abbey and paying the monks' living expenses. The spokesman for Fisher German said: 'It will ensure that the monastery can continue to be self-sustaining, in accordance with the religious order's tenets.